When women vote, we effect change. We honor the sacrifices of our foremothers who paved the way for us and we pass along to our daughters and granddaughters the need, privilege and responsibility to do the same. This fabulous graphic was designed by one of my favorite people for the 51% Club. 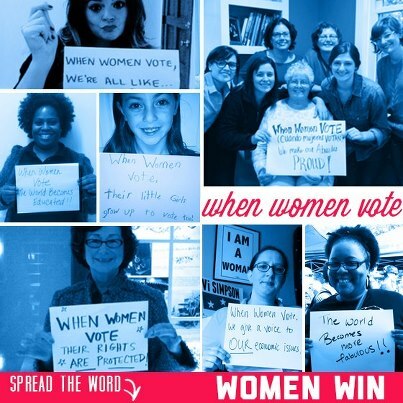 Now add your own finish to the sentence, “When Women vote…” and leave it in the comments.